Doug is my pot of succulents. He houses such plans as Al, Larry, Glen, Ken, Garry and Dennis. 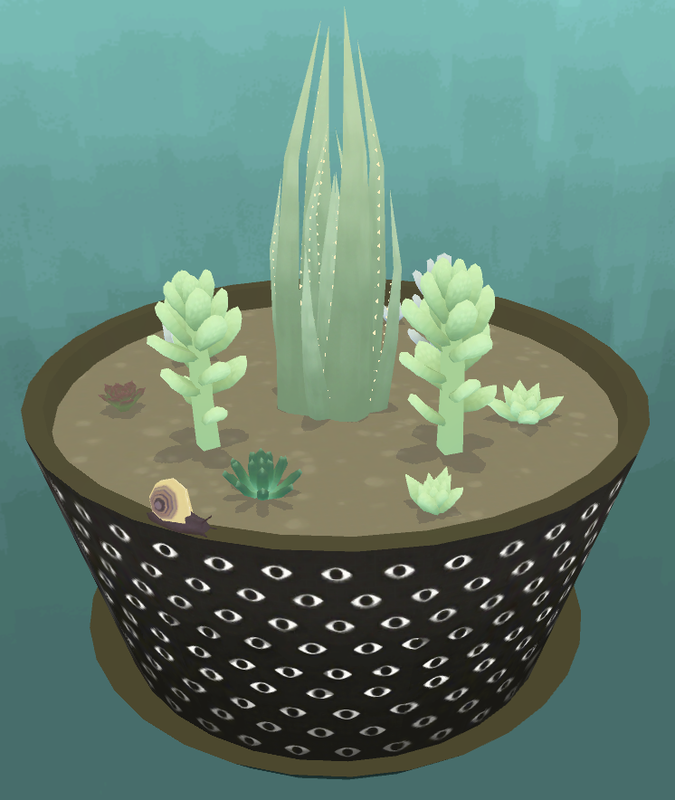 Doug and his plants live in an app called Viridi, which in turns lives on my smartphone. No, my succulents don’t give off any helpful oxygen, nor do they require any sunlight. But they do ask me to water them every once in a while, and pluck weeds from their pot. And if I do that — very slowly, but surely, my succulents will thrive. If you overwater, they’ll drown. What makes them the perfect plant (well, at least for a notorious flora-murderer like me) is that you don’t really have to take care of them. While growing, cacti and succulents should be watered at least once a week. Some people water more often than this. During each watering, give the soil a good soaking, so that water runs out of the ‘drainage holes’ of the pots. The same goes for Doug, my virtual Viridi plant. He’s making progress, and even if I forget to water him for a few days (like you would, go on vacation and forget to ask a neighbor/roommate to water your IRL plants), he still thrives. No matter how accurate Viridi wants to be, it knows that it’s awfully depressing to kill even a virtual plant. Perhaps I’ll forget about him for a few days and he won’t. Either way, it’s an app that doesn’t cry out for my attention. If anything, it seeks to keep my ego as well as my green thumb intact. Lindsey Weber is an editor at MEL. She has two real-life aloe plants that don’t have names.